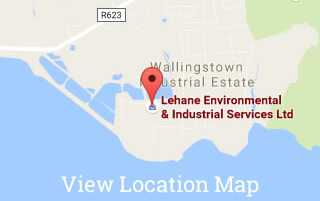 Here at Lehane Environmental we take seriously all aspects of our works which have an impact on Health and Safety. Whilst we generally would not consider our Company a traditional transport company, we have of course a significanlty large fleet of vehicles which transport equipment and waste including Hazardous Wastes. As part of our Environmental, Health, Safety & Quality Management System we strive to implement continuous improvements in our operations and in 2014 we joined the Freight Transport Association (FTA) in order to ensure our transport system met best practise. The FTA run a 3 stage award system which assesses the transport system of companies. The first stage is Bronze. Lehane Environmental is delighted to announce that following a successful audit of our transport system we have been awarded the FTA Accreditation to Bronze Standard. This award recognises our continuous efforts in relation to managing and improving our truck fleet and driver operations and systems. The Accreditation System is designed by the Freight Transport association and recognised by the Road Safety Authority (RSA).